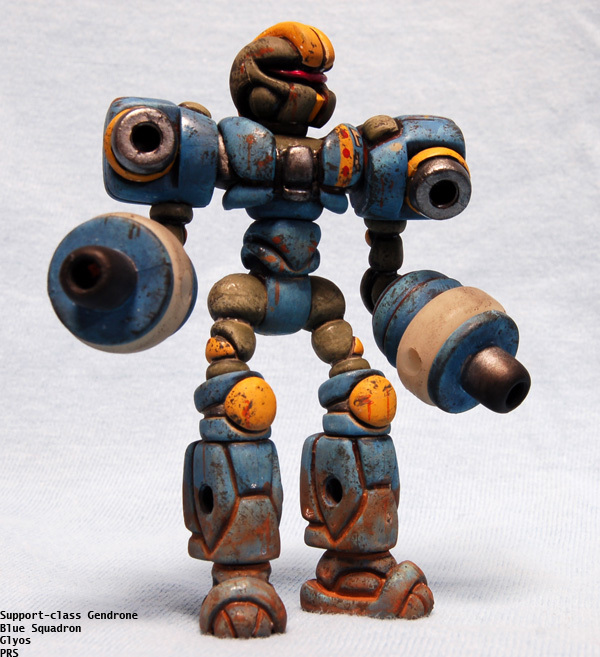 This guy is a Support-class Gendrone from Glyaxia Special Forces Blue Squad. 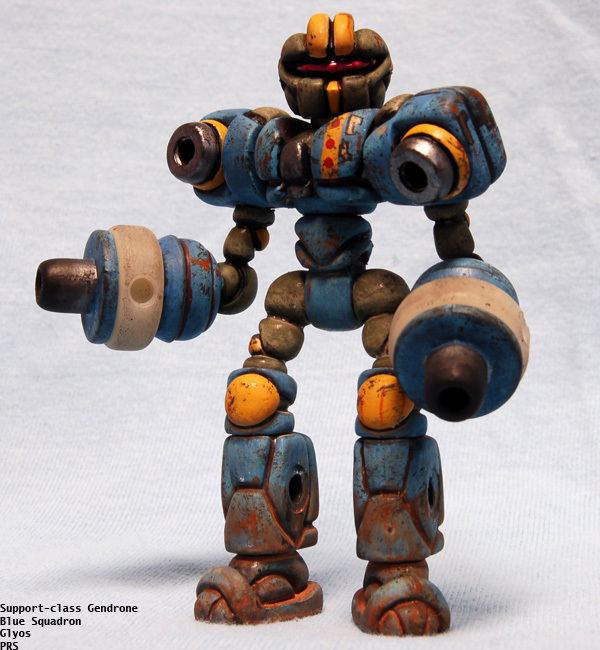 Armed with a pair of Specter Photon Cannons, this model provides mid to close-range fire support on Blue Squad missions. 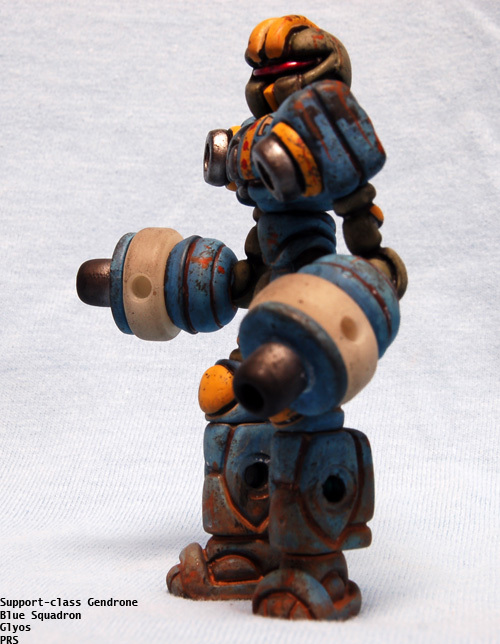 Gendrones are basically automatons in the Glyos universe. 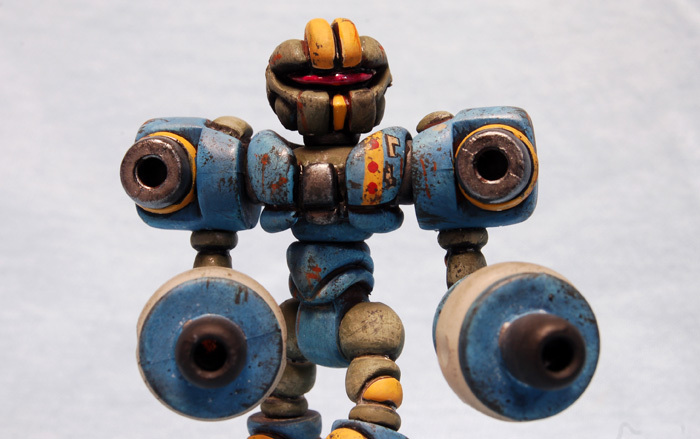 I like the idea of endless robotic soldiers, and it seems like any combat team must just have a stock of different Gendrones that are effectively disposable. This one has managed to survive for quite some time and seen some chop. 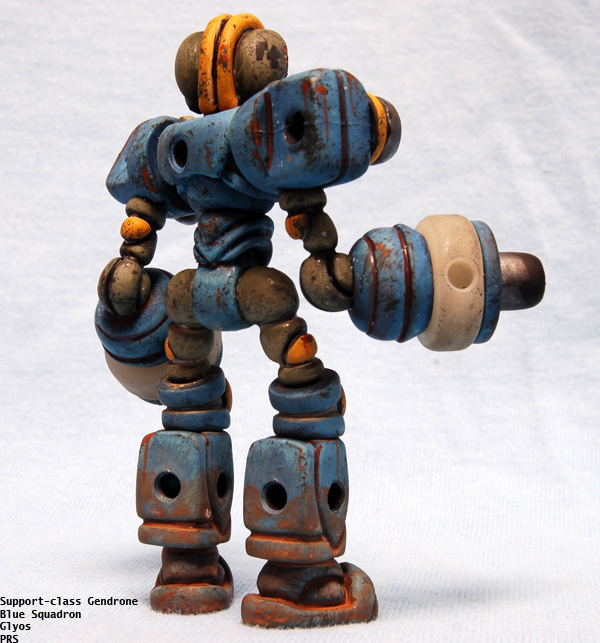 I think I’ve really taken something away from studying the layered and detailed style of painting 3A uses on their robot toys. I tried out a new method and tool for doing the chipping on this guy and his friends, and I’m really happy with how it came out.